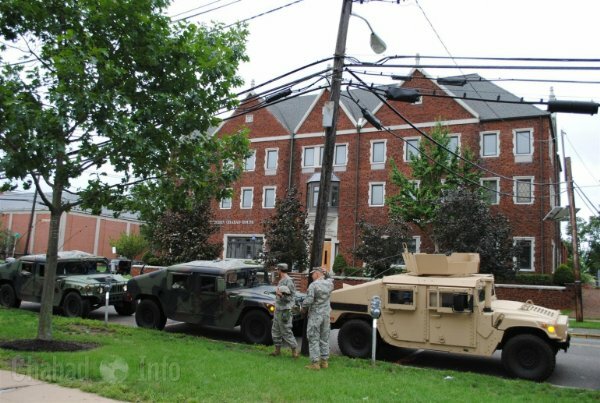 Hurricane Irene prseented a real threat to the people of New Jersey. 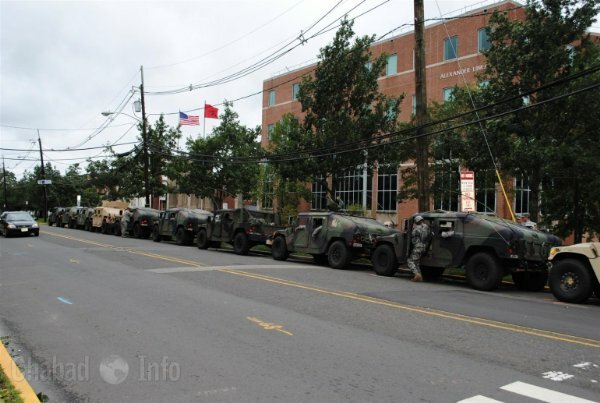 Governor Chris Christie mobilized the National Guard and Rutgers University Gym on College Ave. was chosen as a state shelter for the duartion of the hurricane and storm. 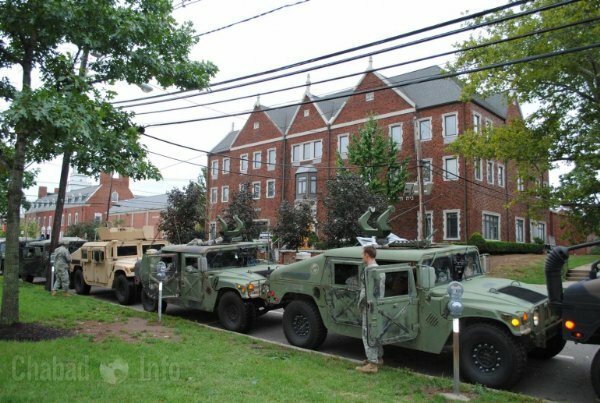 Pictured are New Jersey National Guard troops and vehicles parked in front of Chabad House on College Ave. in New Brunswick. During the storm, some of the troops visited Chabad House, and several participated in the putting on "Tefillin" Mitzvah.